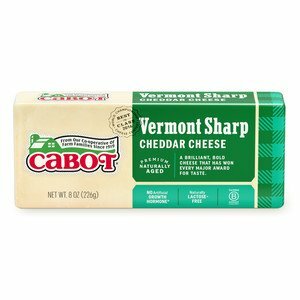 CUT red and green apples into wedges, removing the cores, and toss them with a little lemon juice to prevent browning; fan them on a plate with alternating slices of Cabot Cheddar Cheese. 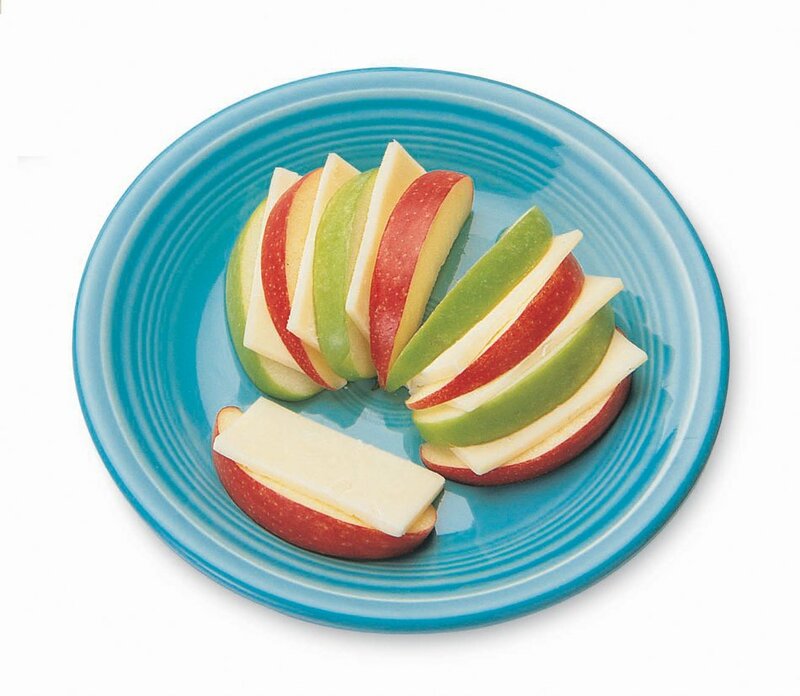 CORE the apples (another version), cut them crosswise into rings, spread with peanut butter and sprinkle with grated cheddar. Hard cheeses like cheddar are rich in protein and calcium, and kids need about 1300 milligrams of calcium every day to help build strong bones and teeth. Raw apples have lots of dietary fiber, important for fighting cholesterol, and crunching them helps to clean those teeth as well! Peanut butter, high in fiber and antioxidant vitamin E, has more protein than any other nut or legume.